V8 V Fusion is the new drink that contains two of your five a day. One 250ml glass full contains one serving of fruit and one serving of vegetables. With no artificial flavours, colours, preservatives or additives, just 100% fruit and vegetable juice this is a great way to get some extra nutrients during the day, these being a particularly excellent source of vitamin C.
V8 V-Fusion juices are full of fruit flavours and combine the perfect blend of 100% natural fruit and vegetables. There’s never been an easier – or tastier – way to enjoy your five-a-day. V8 Fusion is available in two variants, we tried the Passion fruit, Mango & Carrot juice which we found to be refreshing and enjoyable to drink. You’d never think that one glass full contained both a portion of fruit and a portion of vegetable. The juice was quite light to drink, not heavy as I expected and this makes the perfect way to boost your nutrient content in the day and sneak in some extra portions of your five a day. Also available is Raspberry & Beetroot which I think sounds really nice and one I would be intrigued to try. 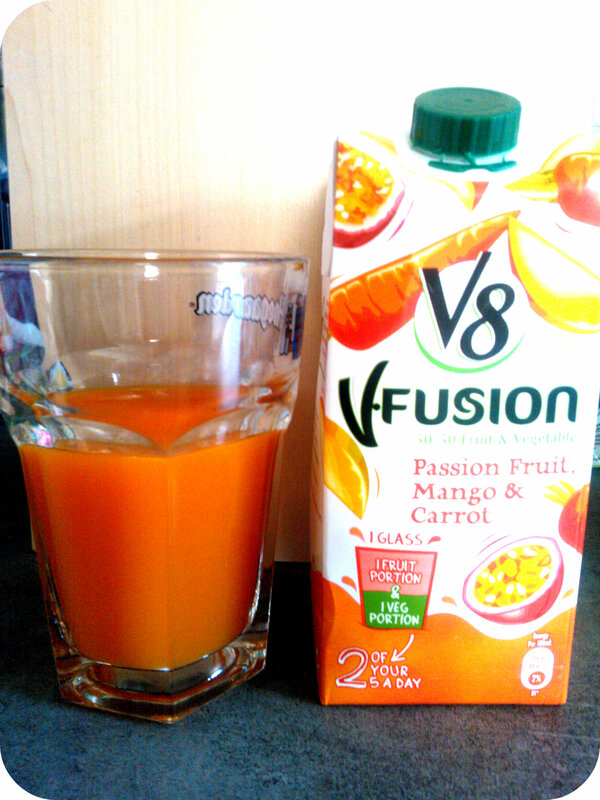 Why not try V8 Fusion yourself and give yourself that daily fruit and veg boost? All reviews are my own and my family’s opinions and we received the V8 juice in order to write the review. breathease is a revolutionary new range of cleaning products for the hope, specifically made for those that suffer from asthma and allergies. As my husband has asthma and suffers from various allergies, I thought he’d be the perfect candidate to put breathease to the test. 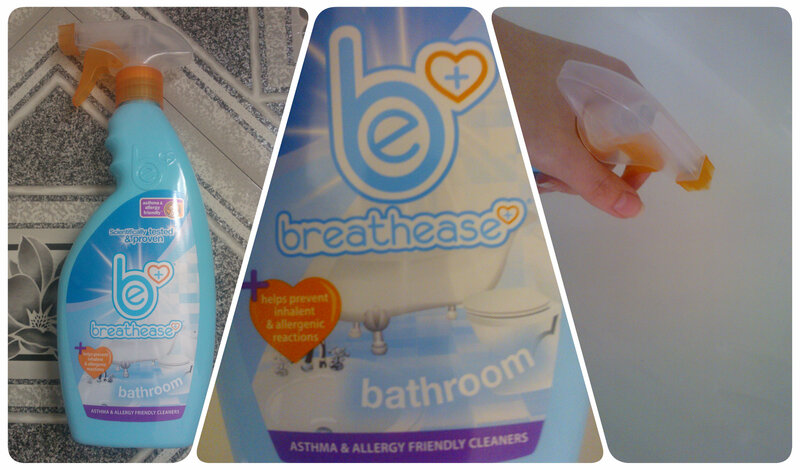 We received breathease bathroom to try which is perfect as our busy bathroom needs a quick clean everyday. The formula itself claims to remove dirt and watermarks, effectively remove soap and scum, remove surface and airborne allergens, have anti bacterial action and contains a non irritant formula. We both tried out the breathease bathroom cleaner and I found it to be easy to spray, gave a good mist of product that definitely was easy to wipe clean. I found it was great for a daily clean around the sink and left a sparkling finish with no residue. It was easy to use all around the bathroom and efficient in cleaning with a very clean smelling fragrance but not overpowering. My husband often finds a lot of cleaners overpowering and he gets a tingle in his nose especially as dirt and dust is moved around through cleaning too. He found breathease to be a lot milder than other cleaners having a more gentle effect on his airways but it still gave the great cleaning results that we would expect. This October is International Walk to School Month, an initiative to encourage parents and children to walk to school each day rather than jumping in the car. We do try to walk to school when we can, especially in the summer but on the cold, dark, wet winters evenings with two young, tired, hungry children I have to admit that popping round in the car can be more appealing. Miss M’s school celebrate International Walk to School Month last week by putting on a special breakfast in the playground for any children who arrived at school on foot, scooter or bike between 8.30 and 8.45 so I was rather pleased when I had the opportunity to try out a couple of coats from F&F to wear on the journey. One thing that’s essential for walking to school in the outdoors is a good winter coat and F&F have a great variety on offer to keep children cosy and warm. For winter I like a child’s coat to have a soft, warm lining and a hood as well as being practical and easily washable for everyday wear. 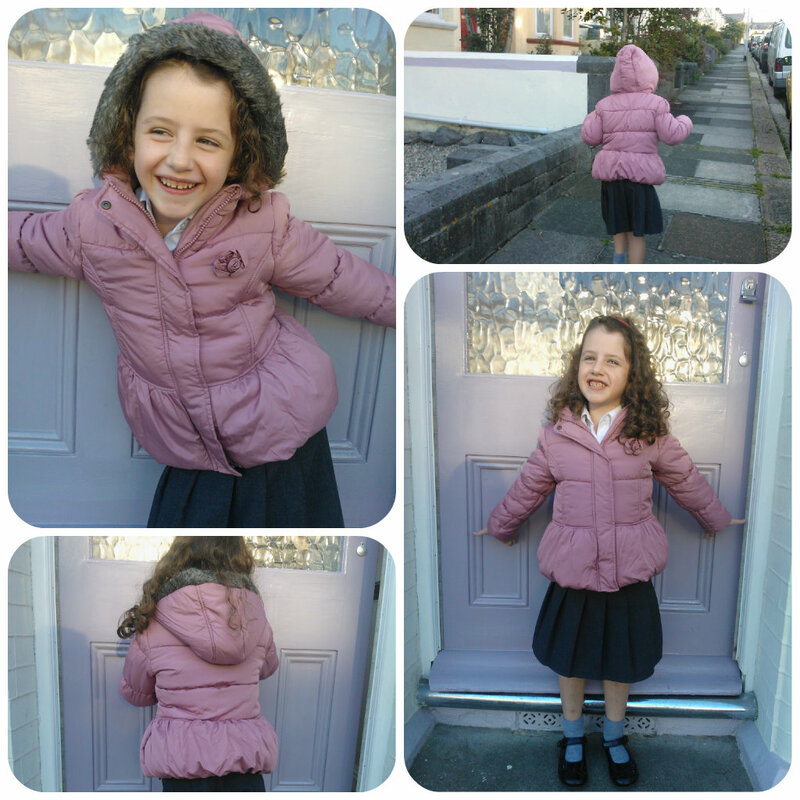 With many styles and designs to choose from, we chose the Pink Corsage Padded Jacket for Miss M. With a warm padded exterior and soft fleecy inside which she loved, this is great for windy, wet weather. It has a snug fitting hood so it won’t blow off, that is fur lined around the edge to make it ultra cosy. It fitted well and looks stylish. Being a jacket was perfect for Miss M as she doesn’t like anything too long and is ideal for the Autumn days that are upon us. With it’s pretty pink design and well made finish we loved this coat suitable for many occasions. For Mister B I wanted something comfortable, that he could happily run around in and that wouldn’t show too much dirt. He always walks to nursery as it’s just round the corner or on the day’s he doesn’t go, he join’s us on the school walk always picking up sticks and leaves along the way. I don’t normally go for character clothes but when I saw this Disney Pixar Cars Lightning Mcqueen Padded Coat on the F&F website, I knew this would be the perfect coat for him. 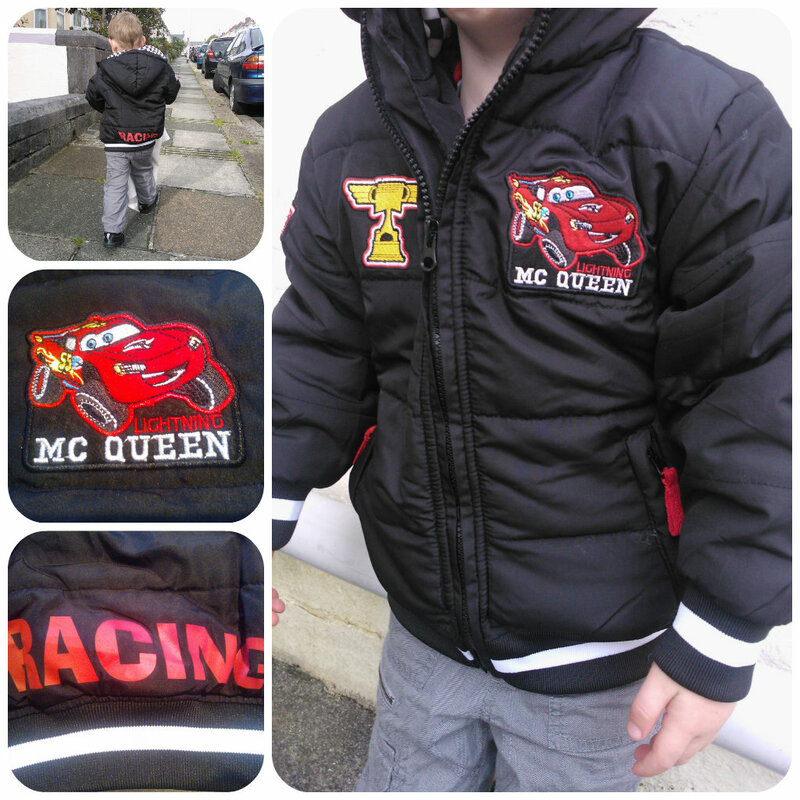 His little face said it all when I showed him the coat – Lightening Mcqueen is one of his favourite characters! The overall colour of the coat is black with a small Lightening Mcqueen logo. There is also a trophy logo and the word RACER written across the bottom of the coat at the back. Added details I liked were the checkerboard design inside of the hood and again this coat had a soft fleecy lining to keep him cosy and warm. I found this coat to be of a really good quality, better than I was expecting for a coat of this style. It was easy to zip up with the zip coming high across the neck to keep all the cold wind out. I love this coat and so does Mister B. It is generously sized although we did get a size up to go over all his thick winter cardigans and jumpers. This coat should last, is great quality and has a bit of fun with it’s Lightening Mcqueen detailing which definitely helped encourage Mister B to wear it and motivate him to walk to school. We’ve really enjoyed trying out the range of coats from F&F. I have to be honest that I didn’t realise they did such a variety of coats and jackets and am quite impressed by the choice available. They are good value for money with stylish, fashionable designs that are of a good quality. I’ll definitely be back to shop there next time we need a coat but for now my children have some great outerwear to keep them warm and cosy on the school run each day. Are you supporting International Walk to School Month to keep your children active? 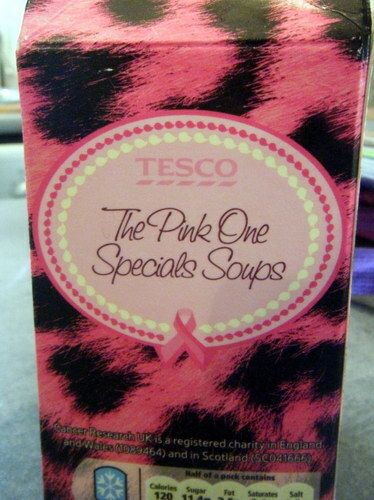 Whilst musing at the fresh soup in Tesco the other day, a pink leopard skin box caught my eye and looking more closely I saw that it was in support of Breast Cancer. On checking the flavour it was Beetroot and Apple so being a vegetarian and for a good cause I thought I’d try it. It was a very easy to eat soup with no strong flavours but very acceptable. With 120 calories per half a carton and a donation to charity it is perfect for a light lunch. 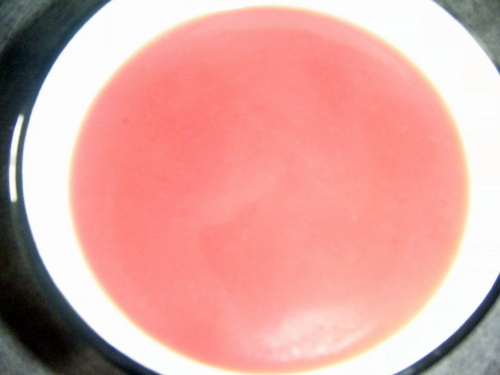 Go Tesco and pink soup – I’ll definitely be buying you again!! A rich creamy soup which I then topped with lots of black pepper worked out as a great low calorie tasty snack for me. What a fabulous way to support Breast Cancer? I tried this soup as part of my weekly shop – I wasn’t paid to try or write about it. 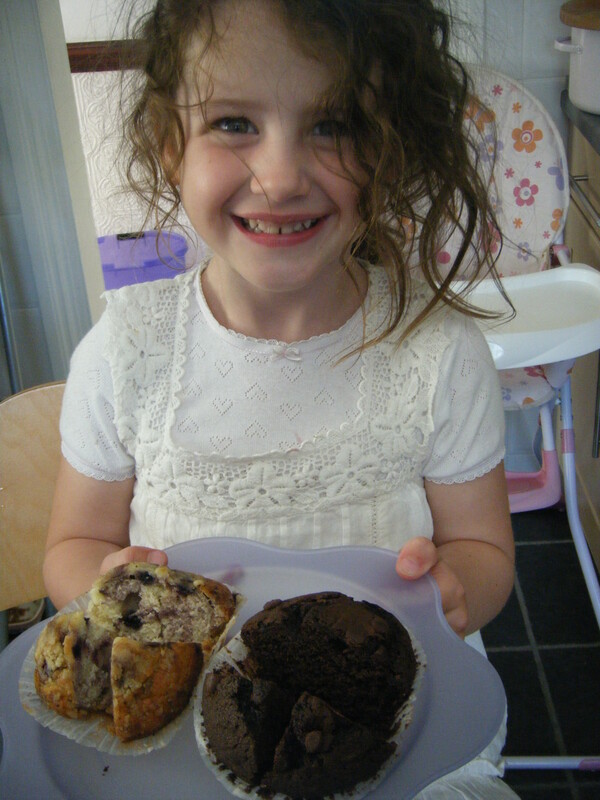 When Mummy News offered us some muffins to review from the New York Bakery Co to, how could I refuse. Being a lover of cake especially of the chocolate variety I couldn’t wait to try the new muffin range that’s just been launched by the New york Bakery Co.
We received a pack of each variety to try – Double Chocolate and Blueberry. My first impressions of each pack were two deliciously packed muffins that looked incredibly tempting and were of a large, luxury size. As I removed them from the packet I could immediatey tell that they were very moist and soft as the sides of the muffins felt all nice and squidgy. And I have to say they didn’t disappoint! They were exceptionally moist which I was quite surprised at and full of flavour. Obviously being a chocoholic the Double Chocolate muffin was exactly what a chocolate muffin should be, full of flavour and covered in chocolate chips. The Blueberry one actually surprised me – it is not usually a flavour I would have chosen but it tasted utterly divine!! It was deliciously moist, with a light but very tasty sponge, full of blueberries and topped with a light crumble that gave a fabulous crisp texture to the top of the muffin. In fact both my husband and I enjoyed the Blueberry muffin so much this would be our first choice when we buy them (yes they are already on our next shopping list). 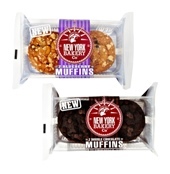 The RRP for the New York Bakery Co muffins is £1.69 for a pack of 2 muffins which I think is a good price for a luxury style muffin. I would definitely recommend these, particularly the Blueberry flavour. They would make a great afternoon treat or are the perfect size to share with a friend over coffee. They are available from Tesco stores nationwide from this month.